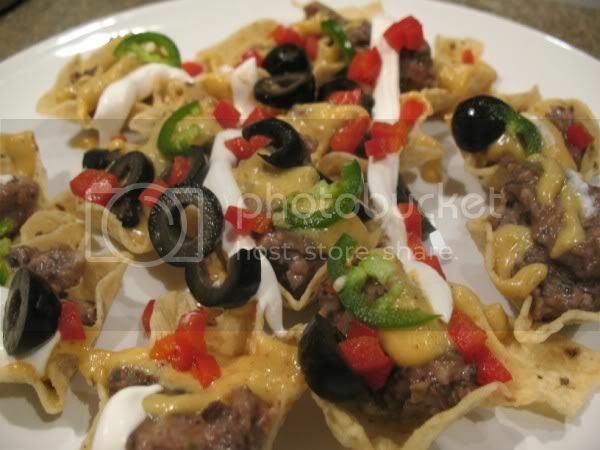 I made these nachos from those little tortilla bowls, but any tortilla chip will do. Added this easy, delicious bean dip from Veggie Kitchen (recipe below), nacho sauce recipe from Uncheese Cookbook and changed it a little. You can use any nacho saucy-type recipe you'd like. I added sliced black olives and roasted red pepper, and piped on some sour cream. Topped off with the thiiiiinnest slivers of raw jalapeno w/o the seeds. 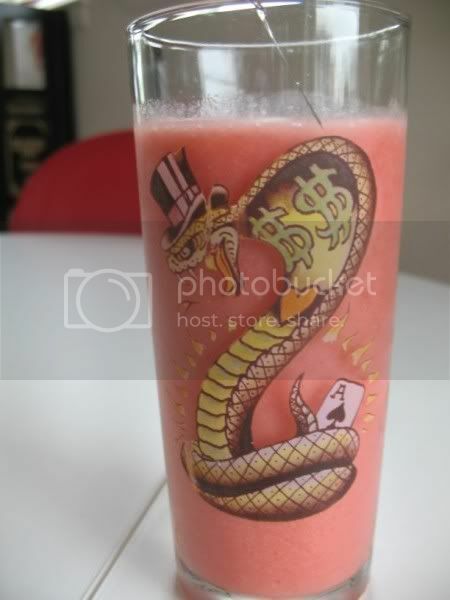 I also have discovered that sometimes cantaloupes (actually musk melons) aren't as sweet as you'd like, or if they go a little soft but aren't bad...they make really good smoothies! They lend almost a creamy texture to the smoothie. I like to put cantaloupe, a couple ice cubes, water or juice, and frozen or fresh fruit. 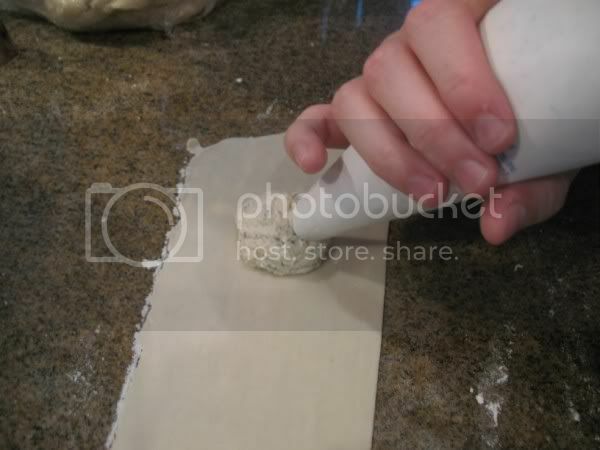 And DUH, I never thought of it until I saw it on TV, but use a piping bag when making ravioli. Why did I use a spoon and a finger for so long!? Those nachos look fantastic! Funny, this weekend I also saw some folks on TV using a pastry bag for "Maultaschen" a German version of ravioli. And I had the same thought as you.